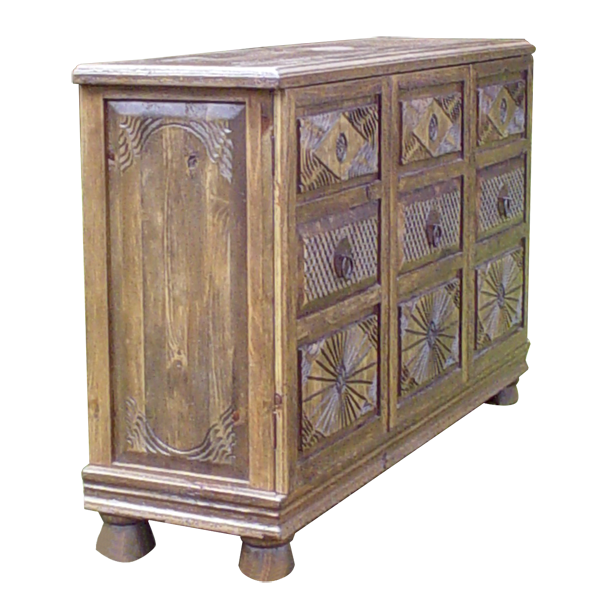 This handcrafted, Spanish colonial style dresser is representative of the spectacular, hand carving abilities of our talented craftsmen. The left side of the dresser has three vertical drawers, and the face of each drawer has a different, ornate, hand carved design. Centered in each drawer is a hand forged, iron, pull ring. The right side of the dresser has a solid wood façade with six, hand carved designs that match the drawers on the left. This façade “fools the eye”, as the façade opens to reveal two practical drawers on the top, and four open spaces below with shelving. 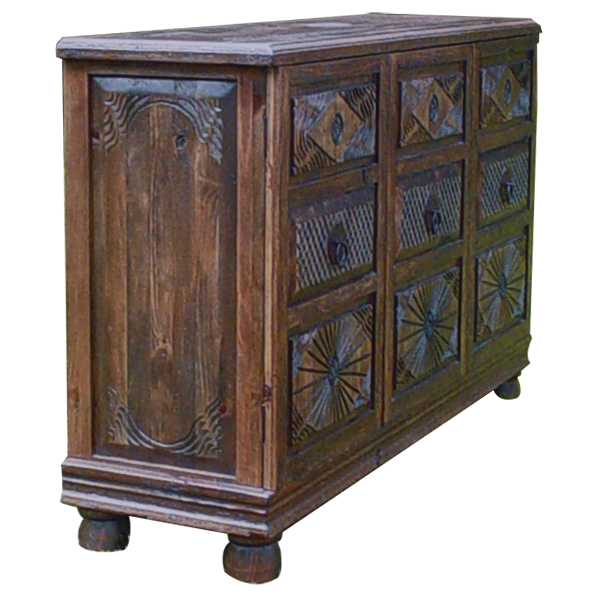 There are decorative panels on the sides, and each is adorned with a hand carved, geometrical design. The top and bottom rims of the dresser have classic, straight molding, and the dresser rest on hand turned feet. 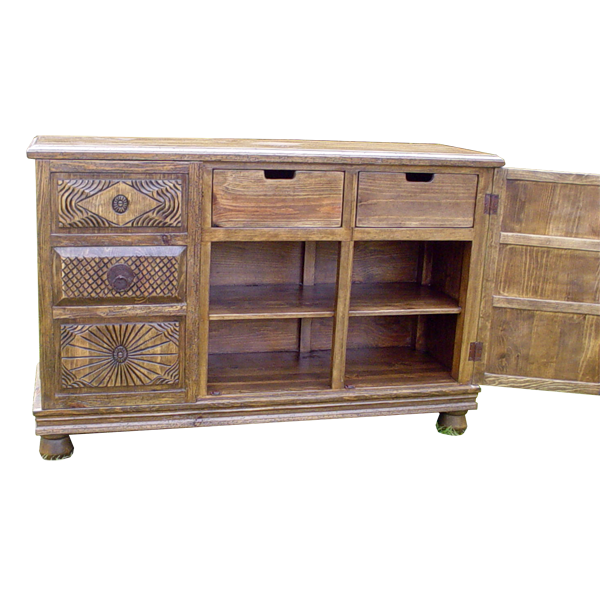 Beautifully stained with an antique finish, it is made with the best, sustainable, solid wood available. It is 100% customizable.